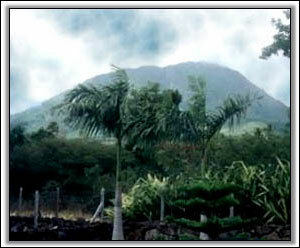 This delightful Nevis villa is a wonderful property located in the cool hills of Nevis. The villa has a large gallery porch covered by an overhanging roof. 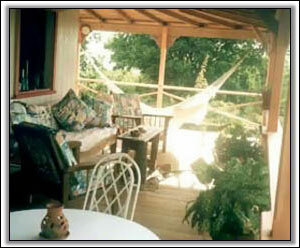 The porch is surrounded by railings (safe for children) and is furnished with comfortable porch furniture and hammocks to enjoy the Caribbean sunsets. Inside, there's one large great room for living, dining, and cooking. 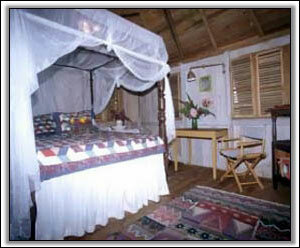 The house is furnished with custom-made Caribbean furniture, and refurbished antiques. Hand-painted floor cloths accent the heart-pine floors. The kitchen is equipped with a new stove, refrigerator, microwave, and toaster oven. The great room has an AM/FM radio, CD, Tape player. Morning Star Villa also features a quiet location, stonewalled yard, tropical gardens, monkey and bird watching along with nearby hiking trails. 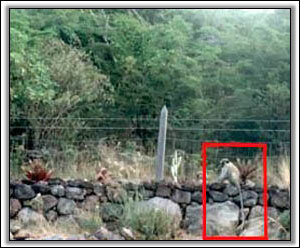 This fine location also offers wonderful sea and mountain views and is close to great restaurants. 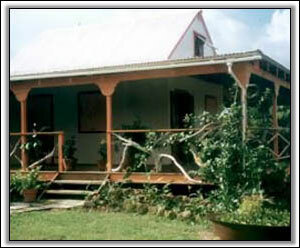 Morning Star Cottage offers nightly, weekly and monthly villa rentals year round with reasonable rates. 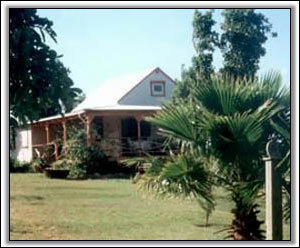 A title="Nevis Rental Cars"rental car is suggested and can be arranged for you. Fewer/more days are prorated....we're flexible.